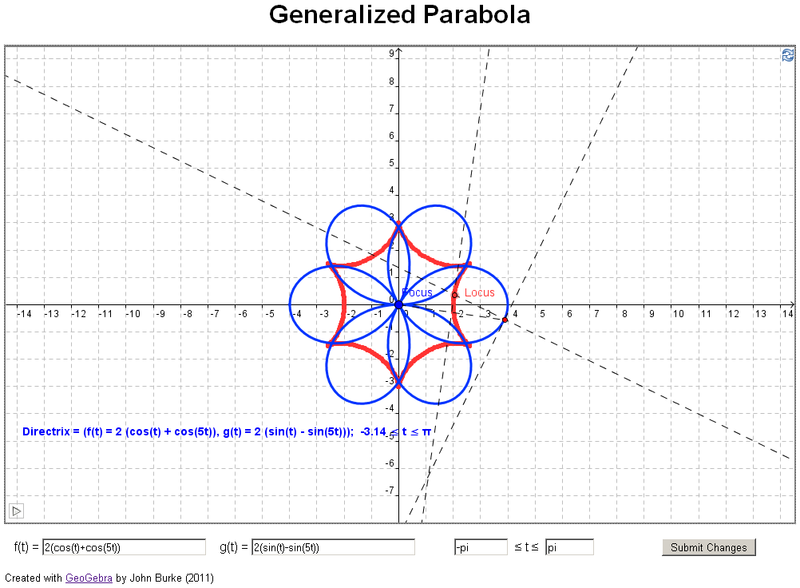 I recognized GeoGebra could be used for a purely geometrical investigation. 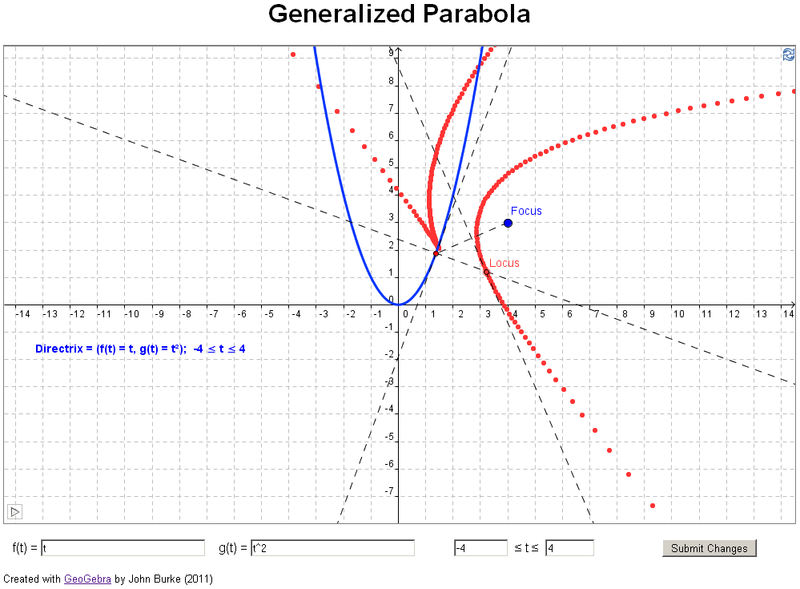 Examples 3 through 11 below reproduce examples from the paper sited above. 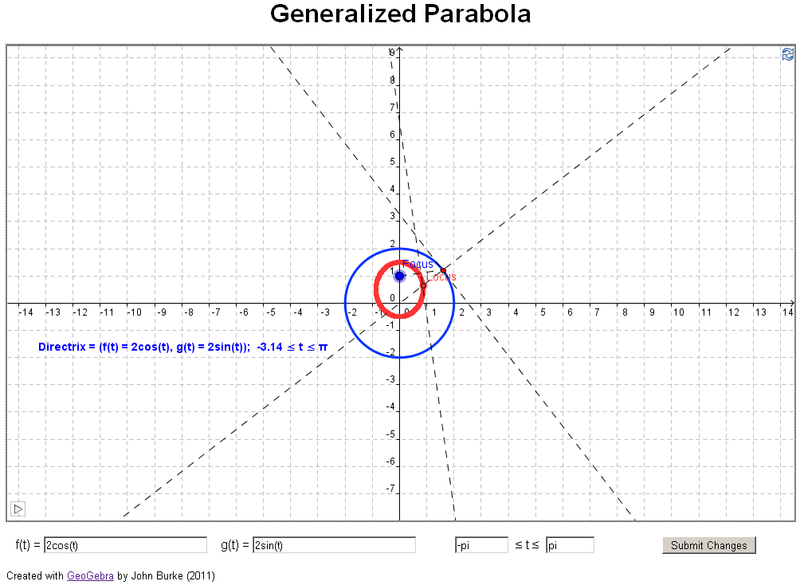 The routine that produced the examples below is available for use here. 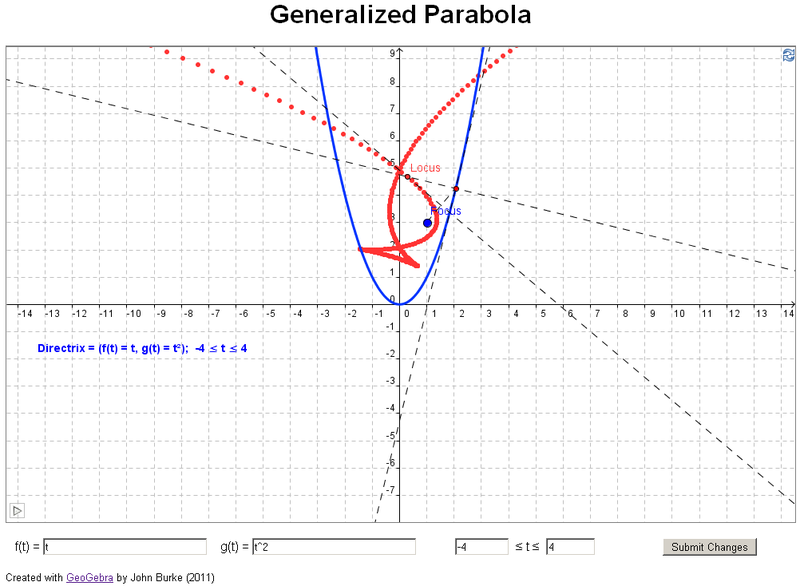 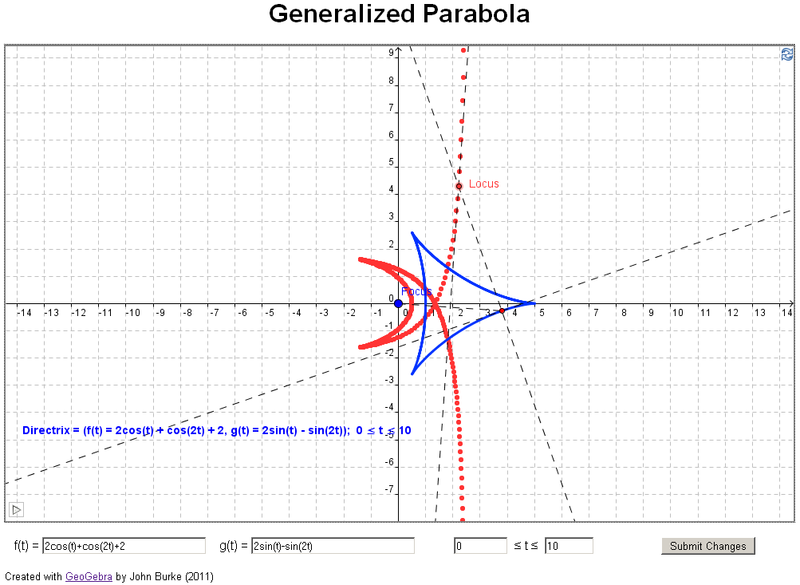 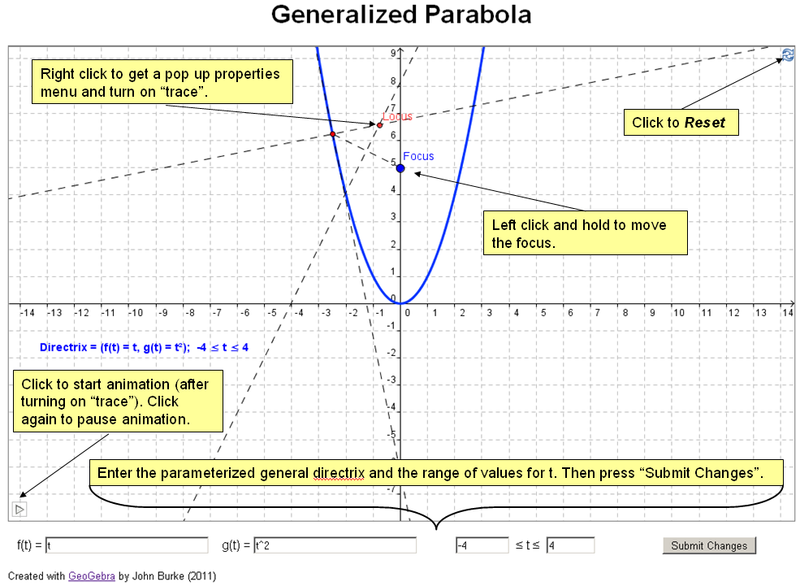 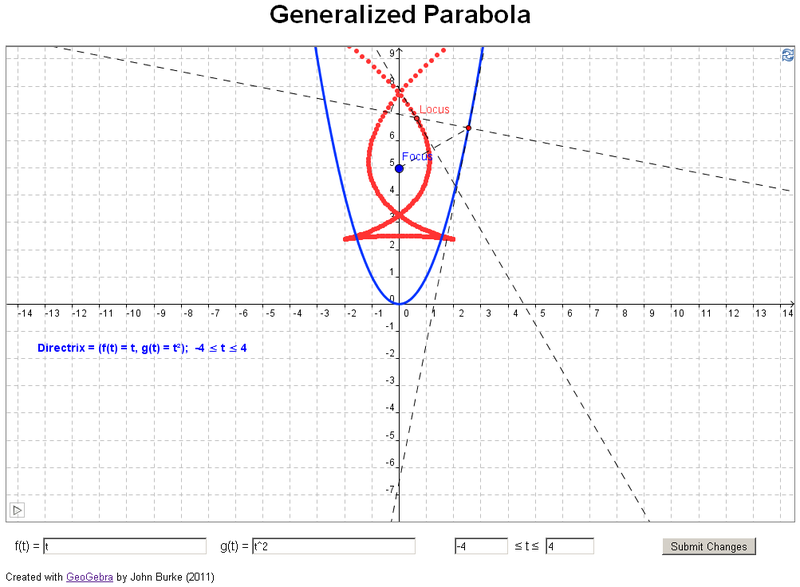 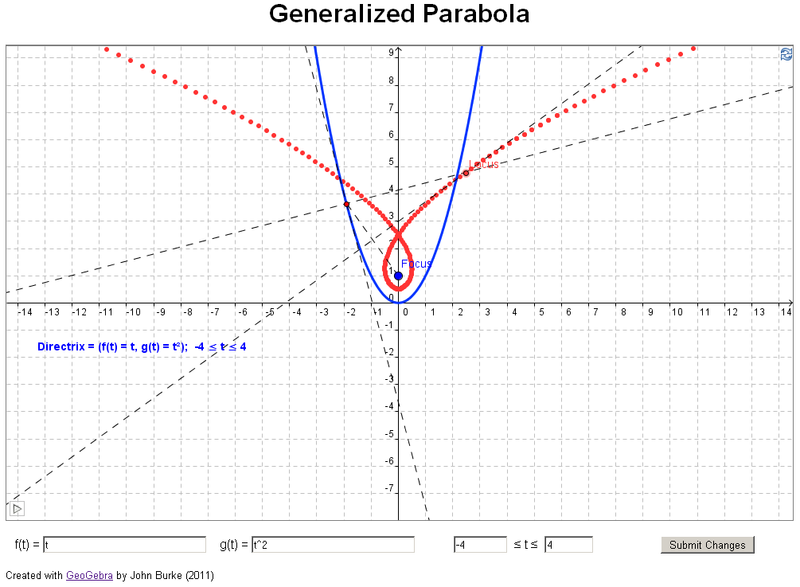 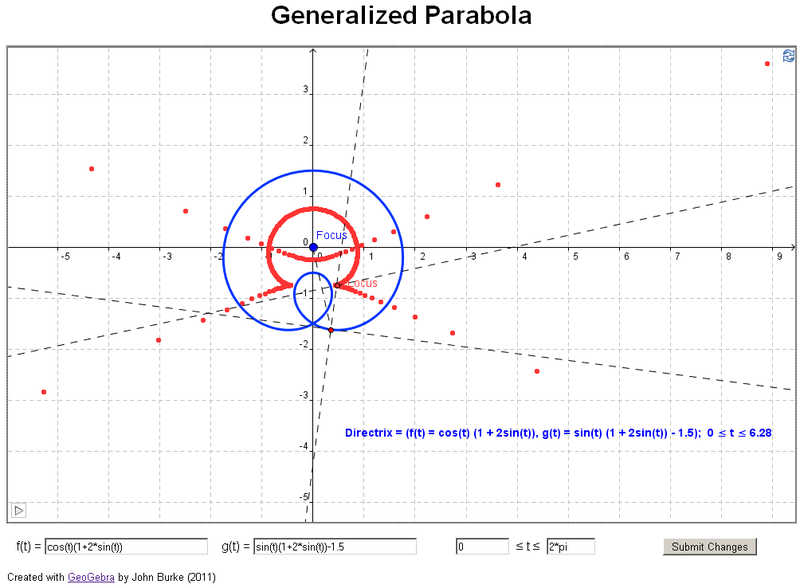 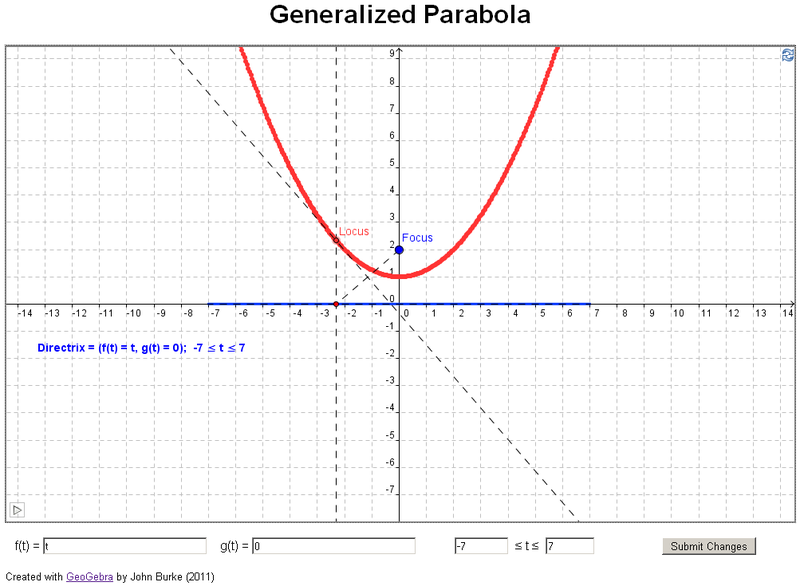 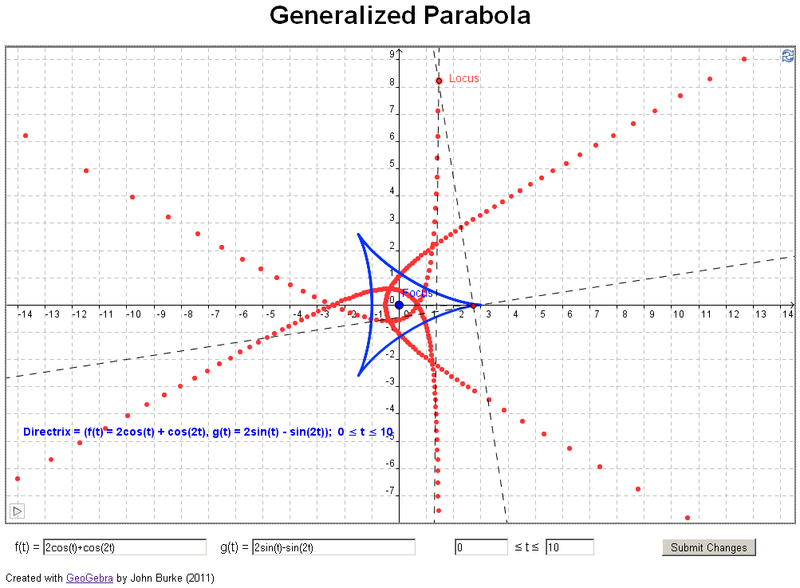 Example 1 gives some instructions on using the generalized parabolas GeoGebra manupulative.